FBR-ELPO aseptic bag-in-box (BIB) filling machines and aseptic processing equipment are available exclusively through T.H.E.M. (Technical Help in Engineering & Marketing). (Marlton, NJ – December 2015) T.H.E.M. (Technical Help in Engineering & Marketing), a leading provider of flexible packaging solutions, has been named the exclusive North American representative by FBR-ELPO for its aseptic bag-in-box (BIB) filling machines and aseptic processing equipment. The demand for aseptic packaging solutions is increasing in step with steadily growing consumer demand for natural food and beverage products. T.H.E.M. believes the timing is right to expand FBR-ELPO’s presence in the North American market. “We are excited to introduce FBR-ELPO’s aseptic packaging machines to our North American-based consumer packaged goods (CPG) customers,” said Neil Kozarsky, CEO and President of T.H.E.M. 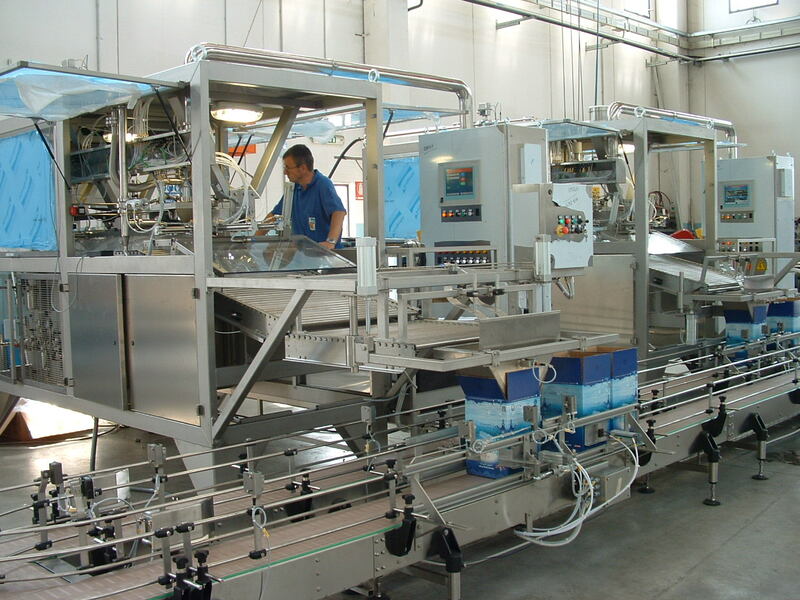 “The WEB Filler As-I-30 Aseptic Filling Machine represents an outstanding overall solution. The most notable feature is the machine’s flexibility to accommodate a broad range of sizes and types of products; a real differentiator from competitor machines.” The partnership brings FBR-ELPO closer to the North American market, while giving T.H.E.M. the means to satisfy growing customer interest for a proven and versatile aseptic flexible packaging system. To deliver a more comprehensive solution, Bemis North America, a global provider of flexible packaging materials and solutions, recently announced that it also will support this aseptic BIB initiative. Working in collaboration with T.H.E.M., who will provide on-the-ground technical service and support, and FBR-ELPO, who will supply machinery and technology, BEMIS’ flexible material expertise completes the trifecta, creating a total aseptic BIB solution. Based in Italy, FBR-ELPO is a leading world-class machinery manufacturer with extensive expertise in aseptic BIB filling machinery. FBR-ELPO fillers are easy to use and completely automatic. The WEB Filler As-I-30 Machine can fill liquid-based products ranging from fruit purees to chocolate milk, in addition to products with particulates, such as small pieces of fruit. FBR-ELPO has over 100 installations of aseptic BIB machinery operating around the world, with several in the USA, Canada, and Mexico. The machine has received US Food and Drug Administration (FDA) approval for low- and high-acid aseptic products, and also meets 3-A Sanitary Standards. The companies are in the process of designating an aseptic BIB filling demonstration facility in the United States for regional customers to evaluate the FBR-ELPO machine first-hand. This is expected to be operational by mid-2016. For T.H.E.M., partnering with FBR-ELPO aligns with the company’s core mission: to identify best-in-class packaging innovations from around the world and introduce those technologies to North American-based CPGs. While best known for bringing the Sanko Machinery flexible “Stick Pack” to North America, more recent T.H.E.M. introductions include the Snapsil® semi-rigid container from Australia, and Earthinks® all-natural printing inks and coatings from England.